It’s a sunny Saturday morning, and the mouth-watering aroma of food floods the air, as the crowd cheers, and the announcer’s voice is heard over the loudspeaker. Young, Chaney Gragg, approaches the plate, his spirit and passion takes over the crowd. Many enjoy baseball, but what about those who are physically and mentally challenged? Stara Porazzo, founder of The Miracle League of the Triangle, along with many others, has made it possible for disabled children to play baseball and enjoy being part of a team since 2006. Mrs. Porazzo heard about Tony Withers and Robin Rose, founders of the original Miracle League in Atlanta, Georgia, and decided to create a Miracle League here in the Triangle. 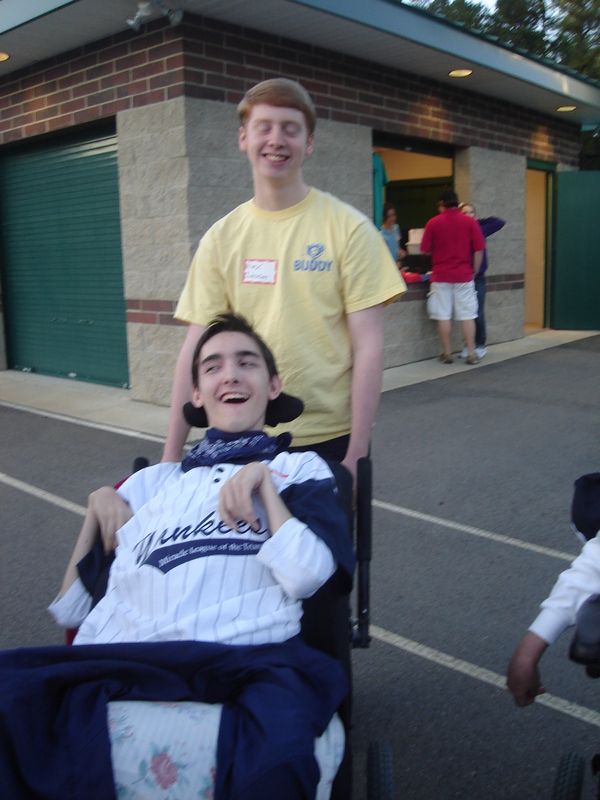 Miracle League began with sixty children. It has now reached one hundred ninety five children and is still growing. Miracle League is a wonderful program and nearly anyone with any disability can play, due to the partnerships of buddies who help hit the ball, travel with the players around the bases, and stay with the players throughout the game. I have been blessed to be a buddy for three years now to my best friend, David, and I would highly recommend anyone to participate, volunteer or come cheer these amazing chidlren on! You will be blessed!